Erich Dreyer has 15+ years of experience in Medical Device Product Development from concept through commercialization. 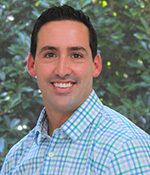 Â He recently served as Director of New Product Development for Teleflex Medical. Mr. Dreyer has successfully launched 40+ products meeting or exceeding timelines and budgets. Â At his most recent role at Teleflex Medical, he led the R&D department responsible for New Product Development. Â During this time, he transformed the Teleflex Surgical R&D department from a sustaining focused R&D group to a truly innovative R&D group capable of developing and launching new products. As a result the Teleflex New Product Development department successfully launched full product portfolios in fascial closure, cold vessel ligation, specimen retrieval, and most recently MicroLaparosicapy with the launch of Percuvance. These new portfolioâ€™s represent the development and launch of 24 new product offerings within a 4 year span. Mr. Dreyer has also been responsible Â for the design and project management of over 20 projects These projects include technologies in plastic injection molding, stamping, metal injection molding, extrusion, dip molding, sealants, silicon molding, EDM, and other machining methods. He has held various leadership roles that included experience with employee management and restructuring, M&A due diligence and guidance, quality processes, and business process improvements. He received his BS in Mechanical Engineering from the University of MA with a minor in Business Administration.